Embroidered lace gown with silver embroidery accents. Strapless sweetheart neckline and a full asymmetrical trumpet skirt. in stock immediate delivery. casablanca bridal 2116. Embroidered lace gown with silver embroidery accents. 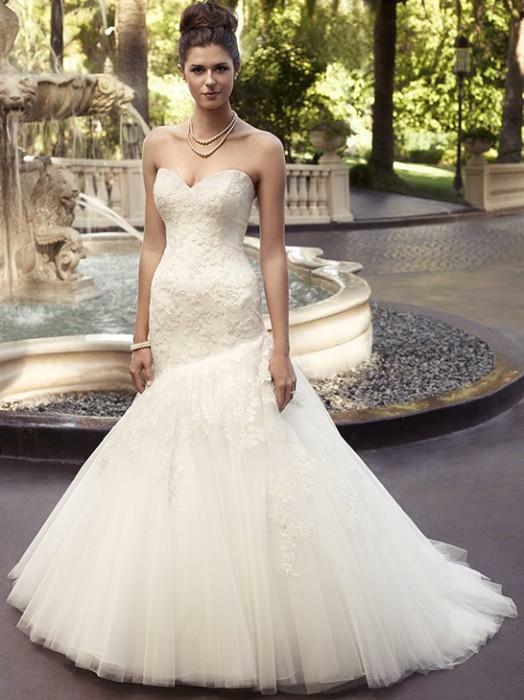 Strapless sweetheart neckline and a full asymmetrical trumpet skirt.